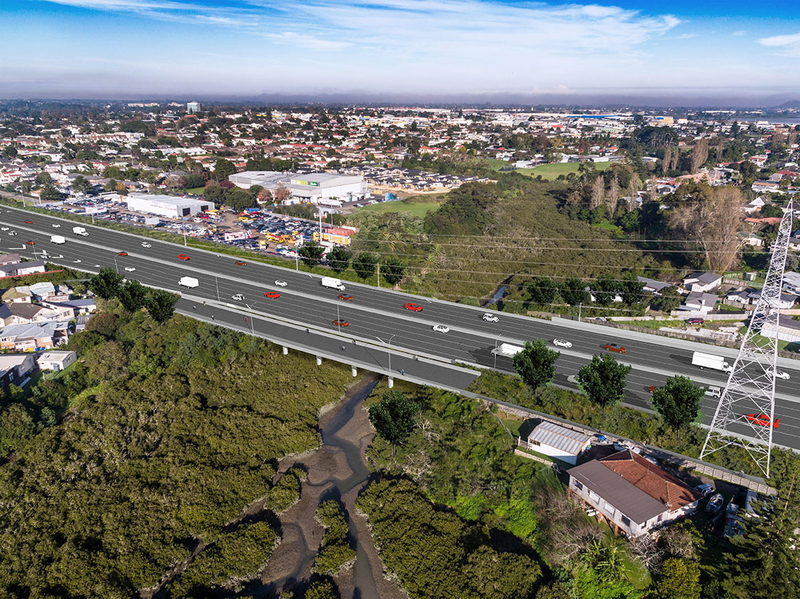 The East West Link project was a project designed as a motorway between Penrose and Onehunga and was expected to cost up to 1.8 billion dollars. Our campaign up to and including the Board of Inquiry was covered in these posts at Greater Auckland. Costs, benefits, and East-West Connections (Dec 2015) – How transport projects are evaluated has always been of interest to me. I believe that although the standard cost benefit analysis approach that lies behind the NZTA economic evaluation manual has its flaws, the resulting BCR is still an important factor in determining whether a project, or a particular project option, should proceed. The Economics of the East West Link (Jun 2017) – As most readers will know, the estimated cost of the East West Link has escalated to as much as 1.8 billion dollars. We’ve previously analysed the costs and benefits of the various route options, and found that the best “bang for buck” actually comes from the cheaper options that were assessed. Economics of the East West Link Part 2 (Sep 2017) – Option F is a four lane expressway along the Onehunga foreshore which, on the face of it, offers less economic benefits than two other options. East West Link Decision (Nov 2017) – The Board of Inquiry for the $1.8bn East West Link project announced its draft decision yesterday, confirming the Notices of Requirement and granting the necessary resource consents for the project to proceed.